I first fell in love with Running Chics when I began my blog last year. I reviewed a running top and pair of shorts and I still love both of them. This time around, I picked out a couple of items that I am going to give to my brother's girlfriend for Christmas. This brand is more than perfect for her! She is a runner on a college cross country and track team and she is going to be a nurse. 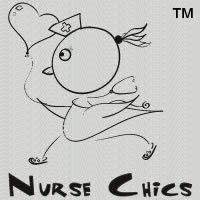 I knew that the company sold running chic clothing but had not noticed the nurse chic line before. When I saw that, I knew that I had to get her one of these items. 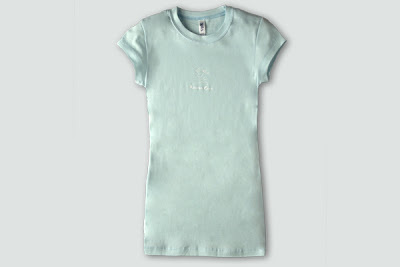 For the review, I chose this super cute long, fitted t-shirt in light blue with the nurse chic logo on it seen below. 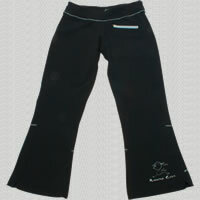 It is so soft and the material is very nice. She is very tiny and I think that it will look great on. Also, I reviewed a pair of the Stretch Flex crop pants with the running chics logo on it which are nice and stretchy and will be great for running. These retail for $45.00. I am literally so excited to give her these gifts because I know that she will love them. Also, the quality is so great that I am very proud to be giving them. This company sells all different colors, types of clothing, and styles. Check them out for a gift for the special person in your life. I promise, if you buy this clothing, you will not be disappointed.